The other day a prospective client contacted Drilcorp and said “I need a hole to get rid of water off my site. I am told it is called a soakaway. Can you come and drill one and how much will it cost?” Following a short question and answer discussion regarding – his location, the type and quality of water to be removed, permissions and permits etc in which the gentleman became increasingly frustrated; he finally exclaimed “why are you asking all of these questions, I just need a hole to get rid of this water. I will get someone else to do it” and he hung up. I thought it may be useful to give a brief overview on soakaways. A soakaway is a beneath surface construction built to facilitate surface water drainage into permeable strata beneath a location that does not have any connectivity to streams, ditches or man-made drainage systems. Property owners, businesses, sports fields, councils, in fact anyone who owns or is responsible for land that has a problem with surface drainage or waste water disposal where a foul water system is not available. Soakaways are generally constructed in areas where rainfall accumulates forming an problematic body of water or where waste water from a property or business that is not connected to a foul water system needs to be disposed of. Are there differing versions of Soakaways? Where the impermeable layer is considerably thicker, it is necessary to drill a Soakaway Borehole to reach the permeable strata that will allow the water to run away at a convenient rate. A soakaway borehole can be described as a water supply borehole in reverse. Both types of borehole need to be designed to allow for the maximum flow of water. The soakaway to let water out and the water supply borehole to let water in. The soakaway borehole is constructed by drilling through the impermeable strata beneath a site until a permeable strata is penetrated. Permeability tests are carried out during construction by filling the bore with water and monitoring the time it takes to flow out of the base. Once the inflow is as required, a plastic pipe with screened section (slotted pipe) over the area of acceptance is installed. This pipe is centralised to allow for a gravel filter medium to be placed between the pipe and the borehole wall which will maximise the flow of water following completion. There are lots of drawings and designs to be had on the internet. The top of the soakaway borehole generally terminates in a wellhead chamber which is connected to feeder pipes bringing the surface water. On many bigger sites there are a number of soakaway boreholes connected by a trench full of aggregate which are designed to handle greater volumes of water. Of course – there are always rules and regulations and quite rightly so. Groundwater is precious and our aquifers are delicate and can easily be contaminated. Much of our mains supply water is abstracted from aquifers. If contaminated water managed to enter a drinking water aquifer, it could potentially contaminate a very large area. Contamination of an aquifer can lead to serious fines and even imprisonment for both the contractor who carried out the work and the owner of the property who commissioned the work. Further information can be found on websites: Policy & Practice for the protection of groundwater 2nd Edition 1998 Environment Agency, National House Building Council Standards to mention but two. 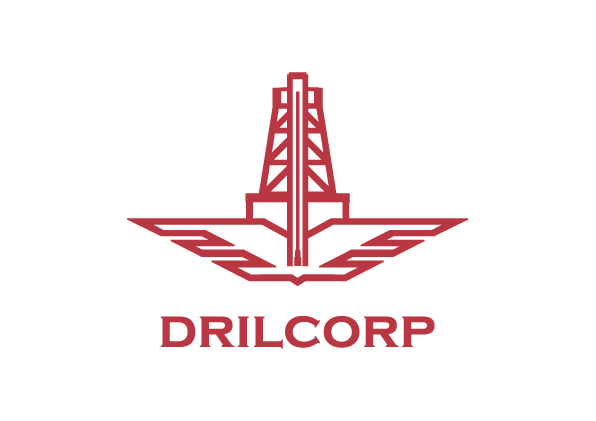 Drilcorp is an experienced and conscientious contractor who will carry out your works to an exacting standard and will be happy to handle your enquiry for a soakaway borehole but please don’t get upset if we ask a few questions on the project.